The Llandudno Victorian Extravaganza, the annual three-day Carnival in the Spring (usually the first weekend in May - May Day Bank Holiday). 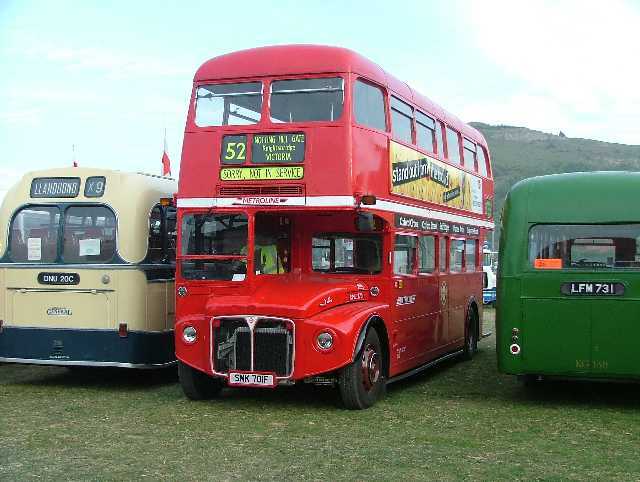 The event is closely associated with a display of many types of veteran and vintage vehicles in the Festival of Transport held simultaneously at the showground site at Bodafon Farm Park near the Little Orme. Please see link below to the Official website. 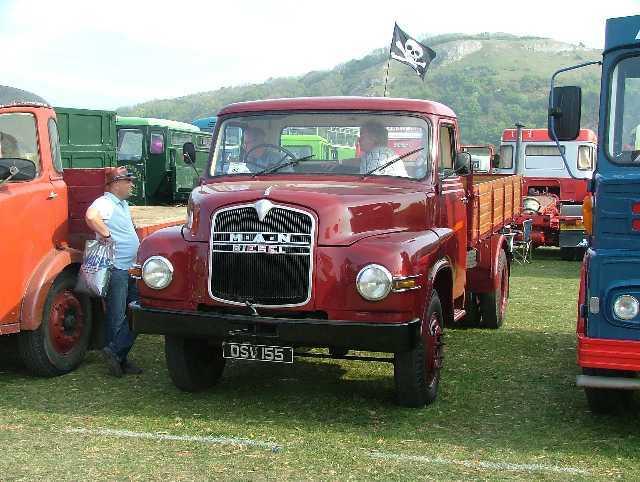 Noel Walley was unable to visit the Bodafon Showground this year and is delighted that friends have sent photographs for this page. 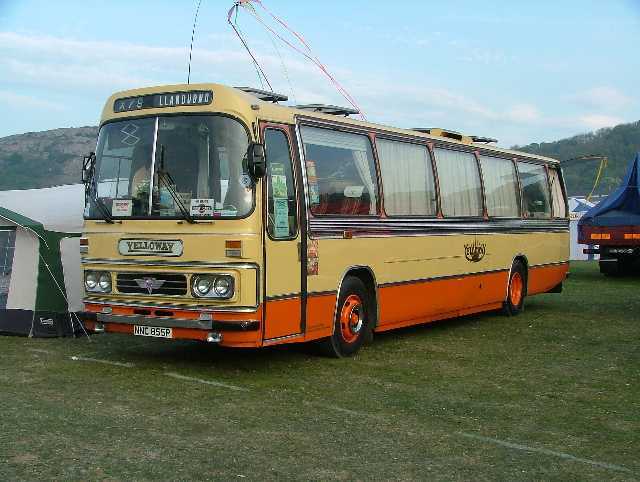 1968 City of Liverpool Leyland Panther Single Deck. 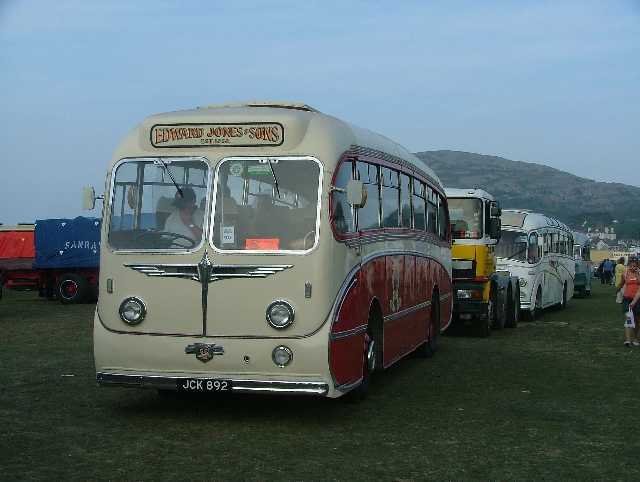 Jones' Motor Services of Flint - 1956 ex-Ribble Leyland Tiger Cub/Burlingham Seagull Coach. 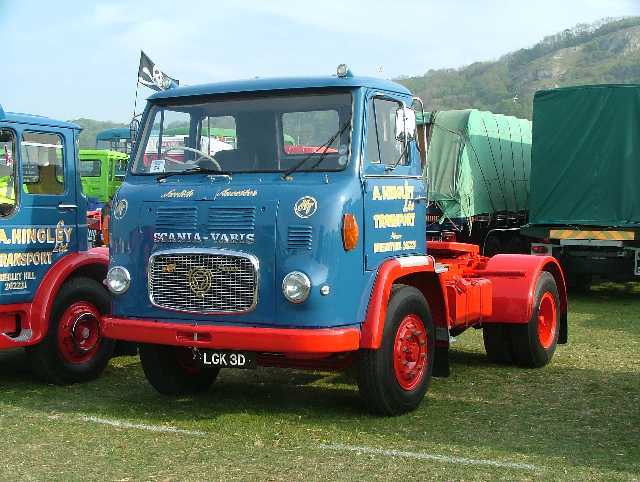 The superb 1976 AEC Reliance/Duple Yelloway Mobile Museum owned by Dave Haddock of Timperley. 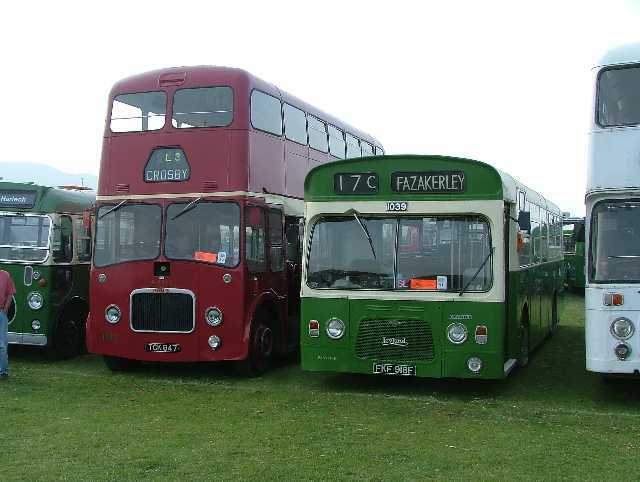 which later operated on the shuttle service to and from the showground. All the above photographs © Alan Haydock, May 5th 2007. Noel Walley thanks Alan Haydock for his contribution to this page.